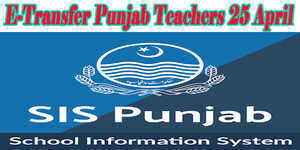 The Chief Executive officer, District Education Authority DEA Punjab. 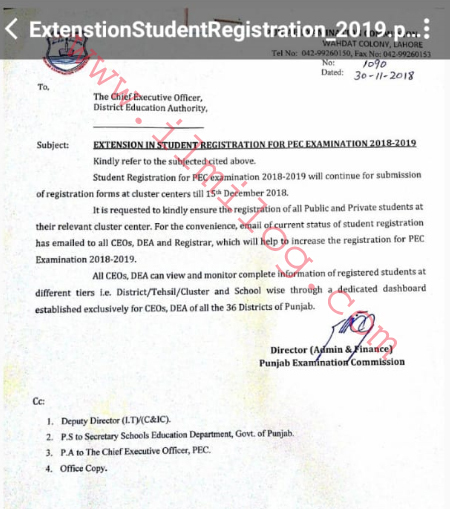 Student Registration for PEC examination 2018-2019 will continue for submission of registration forms at duster renters till 15 December 2018. It is requested to kindly ensure the registration for Public and Private Students at their relevant cluster center. For the convenience email of the current status of a student, registration has failed to all CEOs. DEA and Registrar. Which will help to increase the registration for PFC Examination 2018-2019 All CEOs? DEA can view and monitor complete information of registered students at different tiers I e. District/Tehsil/Cluster and School wise through a dedicated dashboard established exclusively for CEO,. DEA of all the 36 Districts of Punjab.